Our editor Kai Powell is on site at E3 2017 and he had the chance to exclusively speak with Studio Wildcard’s Co-Founder and Co-Creative Director Jesse Rapczak about ARK: Survival Evolved. The interview is huge and we’re still transcribing it, but we’ve grabbed the technical info we know you love, starting with Rapczak’s thoughts on the Xbox One X console’s price and comparison with PS4 Pro. Instead of targeting 30FPS like on the other consoles, we’re targeting 60FPS for the Xbox One X. I would say most of the time for PS4 Pro you would be seeing 30FPS on PS4 Pro at 1080P, whereas with the Xbox One X you’re going to see double the frame rate at 1080P, 60FPS. We might even allow the frame rate to go higher than 60 FPS, but we’re still looking into that. Right now it’s actually uncapped but on a TV it’s not that useful [because they’re locked to 60Hz]. Previously on PS4 Pro, we had the option to choose between frame rate (720P@60FPS) and resolution (1080P@30). We removed it because it’s a better experience for the users now. Because ours is a multiplayer game, the complexity on the screen can be very unpredictable. Variable resolution is something we introduced this year to try and stabilize the frame rate on lower PCs and consoles so that when people go into a huge base and someone’s got a hundred dinosaurs, the resolution scales down but the frame rate stays smooth. We’re not targeting 4K resolution or anything like that, instead we’re targeting higher quality pixels. 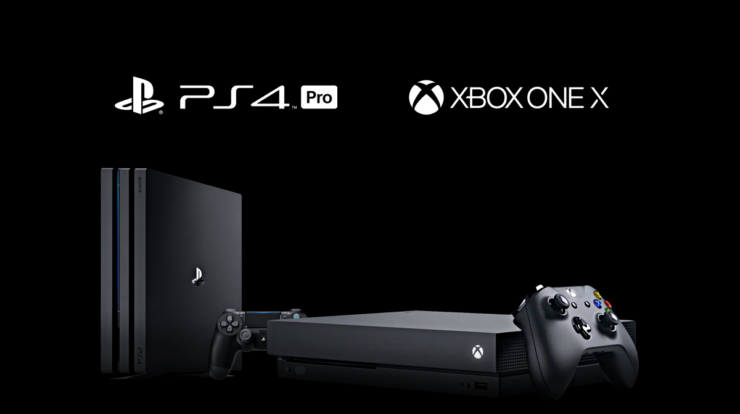 It’s something that both Sony and Microsoft are recommending to introduce, automatic systems allowing dynamic resolution, so if people own the PS4 Pro or Xbox One X they have benefits compared to the base consoles. If you think about it, it’s kind of equivalent to a GTX 1070 maybe and the Xbox One X actually has 12GB of GDDR5 memory. It’s kind of like having a pretty high-end PC minus a lot of overhead due to the operating system on PC. So I would say it’s equivalent to a 16GB 1070 PC, and that’s a pretty good deal for $499. ARK: Survival Evolved is also getting support for High Dynamic Range displays on all platforms with the possible exception of Steam PC. We’re definitely going to implement HDR support. It’s one of those things we really like in games. I feel like HDR has a much important place in games than 3D TVs or even 4K. It does make a big difference as long as you’re using it in the right circumstances. ARK at its core is an HDR game, we just tone map it for SDR (Standard Dynamic Range) for non-HDR displays. We will enable HDR on PS4, PS4 Pro, Xbox One S and Xbox One X. We might do it on Windows 10 too – the game is coming on the Windows 10 Store too and it will have cross-buy and cross-play with the Xbox One version. Because it’s the same code base, taking advantage of HDR in that environment. Not sure if we’ll do that on Steam or not, we’ll see. It’s a little harder on Steam where people’s system configurations vary wildly. ARK: Survival Evolved will launch on August 8th for PC, PlayStation 4, and Xbox One. A Collector’s Edition will be available exclusively at GameStop in the USA for $159.99.